There’s an image that’s lived in my imagination for many years. It’s a woman walking into the distance. 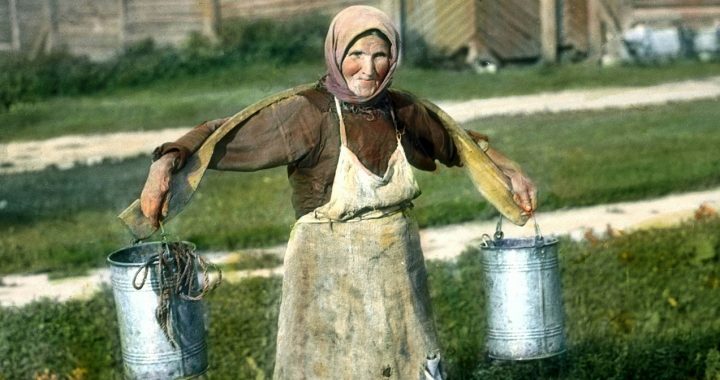 She’s carrying a bucket away from her body, like someone used to carrying heavy loads. I read that description more than a decade ago. The source of the image escapes me, but the image has never gone away. Such is the power of a great description. It can conjure an image that will stick with your audience long after they’ve finished listening to or reading your story. The challenge for story crafters is to describe characters so that they come to life for your audience. Let’s look at a couple good descriptions and see what lessons they teach us about how to describe heroes or any other characters in your story. 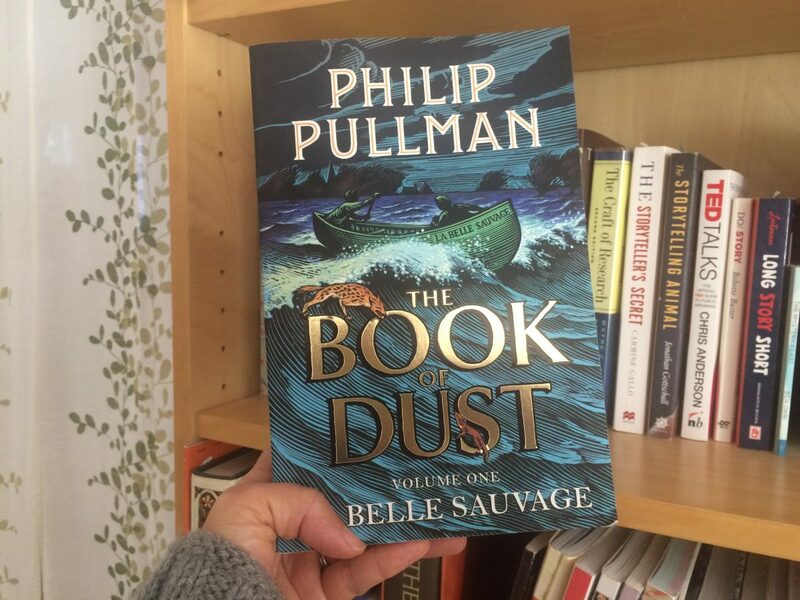 The first example is from Philip Pullman’s The Book of Dust. 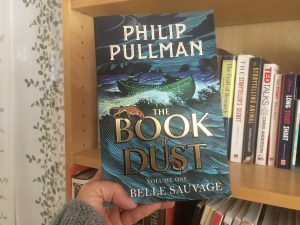 Pullman describes a moment when a boy and a nun are alone in the kitchen of the priory. In the pale sunlight that came through the dusty windows, Malcolm saw how chapped and cracked the skin of her fingers was, how red and raw. Every time she puts them in hot water it must hurt, he thought, but he had never heard her complaining. This excerpt seems to be a description of the nun, but it actually tells the audience about both. The nun works through physical discomfort under difficult conditions and does not complain, at least not in the presence of boys. The boy sees the nun’s hands and his internal reaction is empathetic. The fact that he notes that he never hears her complain shows some admiration. Pullman shows the audience who these characters are by using physical descriptions and internal dialogue. Too often, when we describe people, we rely on adjectives that describe their character. When we do this, we tell the audience how to see the hero. We say the boy is empathetic or the nun is hard-working. Instead of telling our audiences how to see a hero, we can show them who the hero is, what their character is. When audiences see how a hero interacts in an environment, then they form their own understanding of the hero’s character. Crafting a description of an individual based on their actions is challenging. Luckily, there is at least one easy method you can use to start showing more. I call it the “kind of person who” statement. Are you the kind of person who finds delight in a report from the Federal Reserve? The Federal Reserve is the US central banking system. It submits reports on monetary policy to the US Congress twice a year. The Monetary Policy Report submitted to Congress on 23 February 2018 is 55 pages long. By describing their ideal candidate as someone who finds delight in reading these reports, Planet Money is telling their audience more about their perfect candidate than they could with a description a page long. They convey the qualifications they are looking for (someone who can understand Federal Reserve reports) as well as their ethos as an organization (they want to have fun with serious material). The “kind of” statement can be used in a wide variety of situations. Beezus was the kind of girl who did her homework on Friday instead of waiting until the last minute on Sunday. Eighteen years her senior, Frank Gould was the kind of guy who started drinking at 8 a.m. and tried to kill his second wife, the English showgirl Edith Maud Kelly. Both of these examples show the audience how a character makes choices in a situation. Through showing, they tell a lot. Do two things next. Pay attention to the descriptions you hear or read about people or even products or policies. Are they showing or telling? Then pay attention to how you describe things. Are you showing or telling? Try showing, create images, describe choices, and watch your characters and stories start to come to life! Posted in Story Structure and tagged description, Hero, methodology, writing.